"They are not dead who live in the hearts they leave behind." Mary Jane Howerton Richardson passed away today. Services at Worley-Luginbuel in Grove on Monday at 10am. Visitation on Sunday from 4-6 at Funeral Home. 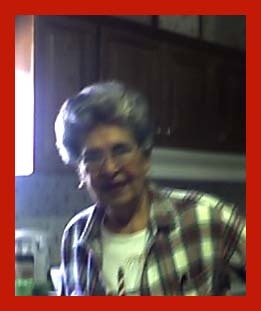 Mary Richardson, 82, a longtime resident of Grove passed away at her home on Thursday, August 11, 2011. She was born on July 23, 1929 in Wyandotte, Oklahoma to Fred and Rose (Smith) Howerton. Mary married Sherman Richardson on October 5, 1957. Mary and Sherman owned the Village Kitchen in Grove for 18 years. She loved flowers, gardening and cooking and watching tennis. Mary was a very caring and loving wife, mother, sister, grandmother and aunt. She lived for her family who always came first. Mary was a member of the Seneca-Cayuga Tribe. Mrs. Richardson was preceded in death by her parents, Fred and Rose Howerton two brothers DeWayne and Charles Howerton and a sister Edna Marie Shaffer. Survivors include her husband Sherman Richardson, her children Charles “Beaver” Howerton and his wife Jan of Grove, Ed Richardson of Fairland, Oklahoma, Lori Ann Richardson of Grove, grandchildren C. Troy Howerton of Oceanside, California, Richie Duncan of Moore, Oklahoma and Angie Howerton of Grove along with several great and great great grandchildren, nieces and nephews, a brother Fred Howerton of Auburn, WA, and a sister Shirley Youngberg of Springfield, Missouri. Visitation will be on Sunday, August 14, 2011 at the Worley-Luginbuel Funeral Home in Grove from 4:00 PM until 6:00 PM. Funeral Services will be on Monday, August 15, 2011 at 10:00 AM at the Worley-Luginbuel Funeral Home in Grove with Reverend Gary Butler will be officiating. Interment will follow in the Olympus Cemetery in Grove. Casketbearers will be C. Troy Howerton, Richie Duncan, Chase Duncan, Guy Duncan, Troy Howerton and Rick Pritchard.